THEY LIKED to sit on a Sunday morning in “the Longfellow corner’’ of their Cambridge home and reflect on their lives and spiritual journeys. By the time Charles died of brain cancer recently at 66, he had come close to realizing that vision. In those last months, he cheerfully set out to ensure that his dream would come true. He had founded the Landmarks Orchestra nearly a decade earlier, and serving as its conductor, brought free classical musical to neighborhoods throughout the city. He wanted to make the summer of 2010 not just his last but his best. It would be the season of his beloved Beethoven with a different symphony every Wednesday. Crowds of 9,000 to 10,000 came with children, picnics and blankets along the Charles River. He loved the music and the river — conducting a finale there and sailing too in his last 10 days. Charles by that definition had certainly found inner bliss. Yet he also remained restless: What more can we do in Boston? What can we do about the problems of the country, so deeply troubling? He sounded as if he wanted to pick up the phone and call everyone he knew, asking them to join a crusade. Listening, the thought occurred to me that the end will be like this for all of us. If we are blessed, we will find happiness, but inevitably, we will leave with so much to be done. Charles thought his role was not just in the here and now; he wanted to inspire others to take up the cause after he was gone. We talked about the idea that the Harvard scholar Howard Gardner has begun to advance — that just as a corporation or a nonprofit must have a strong board of trustees, so must a society — people who voluntarily work for the larger community while also inspiring others to continue the work they leave behind. Charles Ansbacher departed as an honored member of America’s board of trustees — an artist and citizen, a man who brought great music to his community, and now inspires others to carry on after his death. He sacrificed precious years of life but created a vision that will live on. David Gergen is director of the Center for Public Leadership at the Harvard Kennedy School and a senior political analyst for CNN. 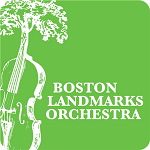 Donate to the Boston Landmarks Orchestra in memory of Charles Ansbacher.